Fully redundant, robust fiber optic Digital Network. Experience crystal clear calls and excellent quality on our secure network conferencing infrastructure. 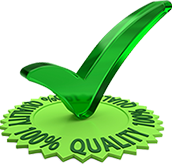 Our top priority is conference call network performance and conference call quality. With communication facilities located all around the world, our company is able to provide exceptional international conference call services at a fraction of the cost. We realize how serious the issue of security is. We use the industry-standard Secure Sockets Layer (SSL) technology to prevent conference call and account details from being intercepted through our conference calling network.